To understand the impact that a project-based learning (PBL) environment has on classroom instruction and student outcomes, MIDA Learning Technologies conducted a study of 2nd and 5th graders at a large suburban school district in Illinois. 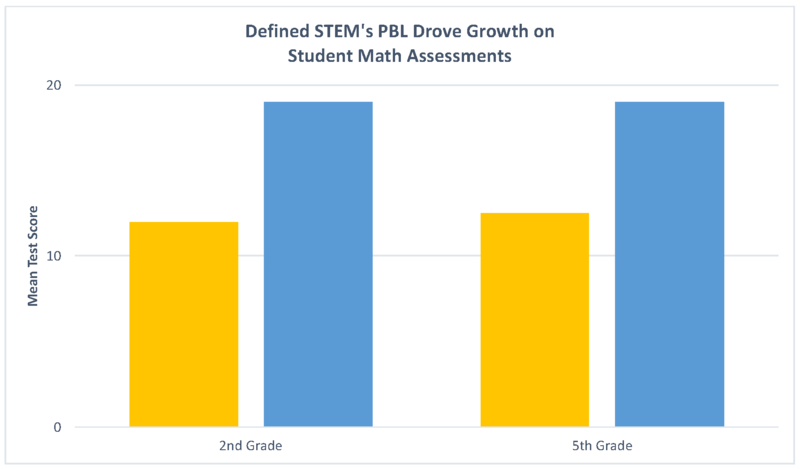 After utilizing PBL through Defined STEM in science classes for one year (2015-2016), they saw improvements in students’ engagement and motivation. In addition, students who used Defined STEM outperformed their peers in critical thinking and problem solving skills. Conducted by MIDA Learning Technologies, LLC. We look forward to hearing from you on Facebook! We look forward to hearing from you on Twitter! We look forward to hearing from you on Instagram! We look forward to hearing from you on LinkedIn!